We asked Tady to keep the answers short.. but here is his Q&A! Tady is a frontend lead and UX developer at Arekibo with a passion for rugby, he is currently a rugby referee in France. Have you got all day? After a few years working as a developer, the dot com bubble burst and I went to work in retail while studying an IT degree at night. The short version is my parents had been lecturers at Limerick School of Art and Design where Martin’s wife Josette had attended. My Dad ran into herself and Martin at a lunch in Limerick some years later. Conversation turned to kids and my Dad mentioned my experience. Martin gave him a business card and the rest is history! 12 years later, still here. Putting the user first - I always remember the first time I went to a client meeting with Martin and understood that the user (our client’s customers) needs were more important that of our clients. I found that very impressive and it’s what led me down the road of placing usability and accessibility at the core of everything I do. How to be confident in my experience - We all suffer from imposter syndrome, that idea that “how can anyone take me seriously, what the hell am I talking about? !” It’s taken me a long time to accept that my long (by our industry’s standards) experience of over 20 years is a wealth of knowledge and when I make decisions or propose solutions, they’re not pulled out of fresh air; they come from that background of experience and knowledge. With that, I’ve also learned to appreciate other’s experiences. We work in a very talented team and I’m not afraid to be told I’m wrong. I love the dynamic of working with people in Arekibo. We’re encouraged to use our voice and sometimes it’s the person you least expect has the best solution. So in adding to my experience, I’ve learned to listen. How to manage my time - Working remotely is a wonderful way to work. I actually find it very hard to do work when I visit the office as there are so many distractions, meetings to attend, conversations that spring up. Working at home, I can filter all that out and focus on the job at hand. However, that takes its own discipline. Thankfully I started with a regime and stuck to it. I think if I’d been at all lazy or lax about how I approached remote working, I would have failed spectacularly. It also comes at a cost; it can be a lonely existence, but thankfully the communication tools exist now to ensure I still feel part of the team. I can’t keep it to one, there has to be two. The first is that I’m also a photographer, something I’ve done since I was 12. I’ve exhibited twice in the RHA Annual, taken part in a few group shows and have had a solo exhibition. I’m hoping to take part in Photo Ireland and I’ve been putting more of an effort to use my free time working on my photography. 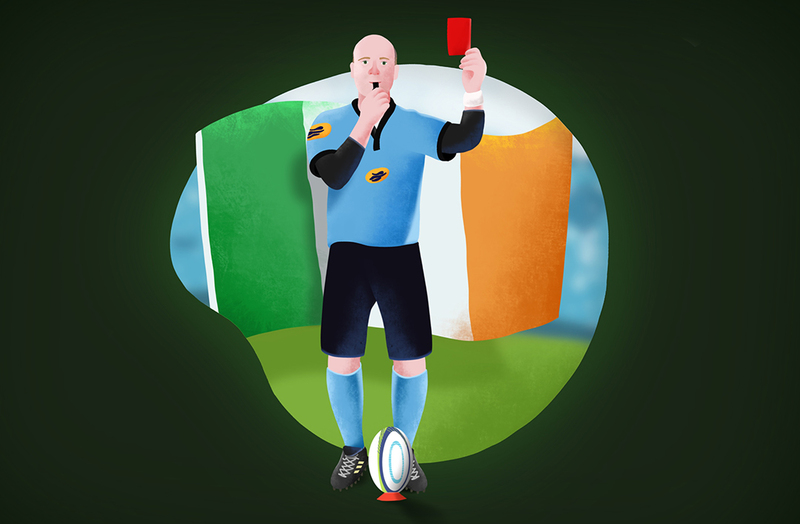 The second is that I’m the highest qualified Irish rugby referee in France. I’m a federal referee which allows me ref at Federal 3 (the 3rd division below the pro divisions of rugby in France). This allows me to step away from screens at the weekend and invest in an outdoor activity in a sport I love (being from Limerick and all…) I also get to see a lot of the country travelling to matches. Did I mention I live in France? I live in France. Has to be two things again. Music and coffee. I have EXTREMELY eclectic tastes in music, so another advantage of working remotely is no one else has to listen to it. And a good coffee is vital to starting the day. I (literally, not figuratively) don’t feel right without it. The unpredictability. I’ve accepted now that I’m passed the point of being able to keep up with every new technology (that’s for the kids), but the dynamic nature of our industry is incredible. I started with just HTML and CSS & JS were the “hot new thing” about 2 years after I started my first job. Now it’s libraries and frameworks and technologies out the wazoo. I can’t keep up but the fact the industry is so dynamic makes it easier for people to carve out their own niche. “Web developer” today doesn’t mean what it did when I started 20 years ago. Apple. Tried Android. Hated the lack of stability (I realise it’s come a long way since). But I am an Apple user. I enjoy the entire desktop/laptop/tablet/phone integration and handoff. No regrets. Learn from your decisions, but never regret them. Regretting changes nothing so it’s wasted energy. Martin has a version of this: “Look back, but don’t stare” which I really like too. Want to know more? Read about Aisling and Kyle!